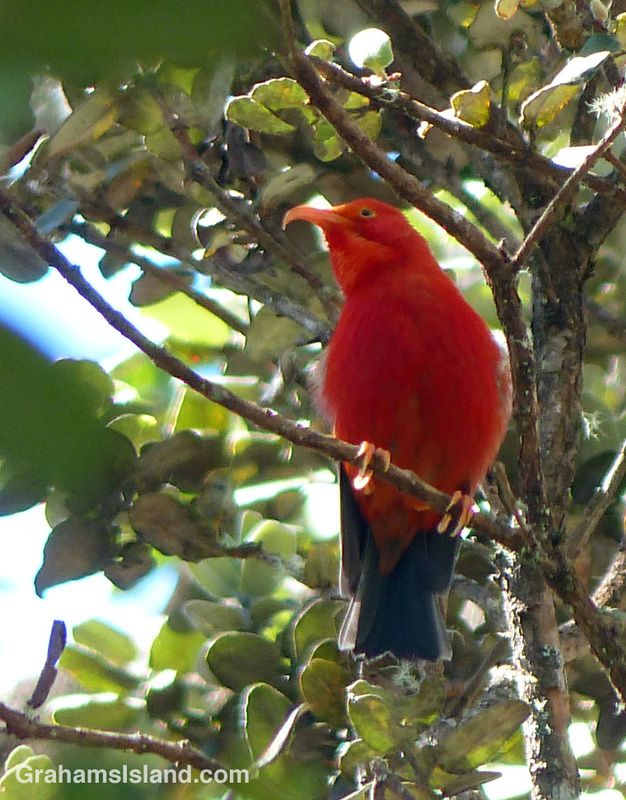 The I’iwi (vestiaria coccinea) is a native Hawaiian honeycreeper, which is still quite common on the Big Island, as well as on Kaua’i and Maui. I saw several while hiking the Pu’u O’o Trail, off of Saddle Road. The fact that they’re bright red and they have a quite distinctive call makes spotting them a bit easier for a non-birder like me. For more information about the Pu’u O’o Trail, go to bigislandhikes.com/puu-oo-trail/.